You are here: Home / Celebrity Video / Shawn Mendes Has “Something Big” Going On — Check Out The Details! Shawn Mendes Has “Something Big” Going On — Check Out The Details! 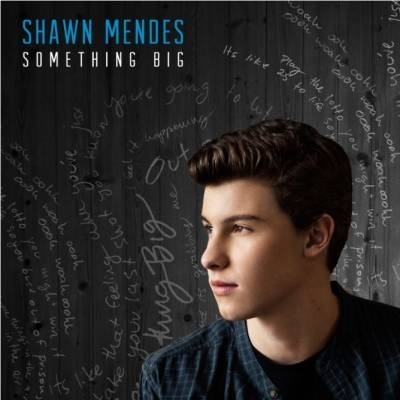 Shawn Mendes can definitely consider Friday (November 7th) a “big” day as his new single, “Something Big” has finally released! Any anticipating Shawn Mendes fan wouldn’t be complete without this amazing single which you can grab on iTunes right now! But if you can’t download your copy right away, no biggie! You can easily listen to the released audio at the bottom! Fans who have already received their happiness of “Something Big”, why don’t you share your love on Twitter right now using #SomethingBig and #SomethingBigToNumber1! Get it trending and see what happens! Can you help get the hit to number 1 on the charts? Oh, but that’s not all! Have you also heard about Shawn’s tour dates coming up this holiday season? What about touring with the lovely Taylor Swift next year? You didn’t? Well now you have! Check out Shawn’s dates below and perhaps you’ll find a show to your liking in a city near you! Make sure you keep up to date about Shawn Mendes with us here on TI and catch up with him on his social networks such his website, Facebook, Twitter and Instagram! Now, get ready for “Something Big” below! What do you think? « AwesomenessTV Announces New Feature-Length Comedy ‘Expelled’ — Watch The Trailer!